PHOENIX (AP) — Government officials and non-governmental organizations that help immigrants must do a better job coordinating and communicating about the needs of immigrants in the country illegally who are increasingly being released onto the streets after their detentions, Sen. Martha McSally said Monday. The meeting included officials with several of the nonprofits that help migrants with shelter, food and travel. But reporters were not allowed to attend the meeting and could only watch McSally’s introduction ahead of it. 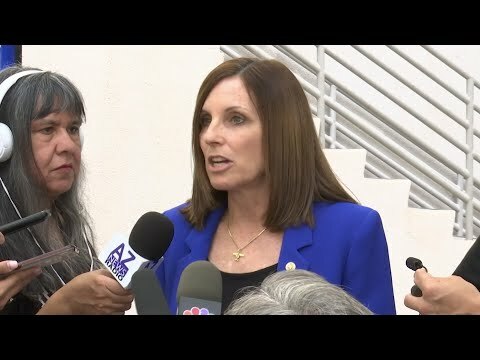 “But we just gotta come together and figure out how we can do a better job of coordinating and communicating given the circumstances I just gave,” McSally said.